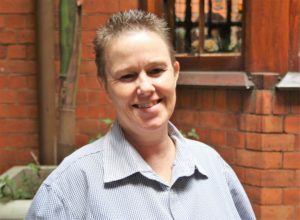 Jeppe’s Ms Stephanie Craig was named the top IT Educator in Gauteng’s District D9 for the third year in a row at a function during the week. The award, she explains, is based on combination of the subject’s overall matric pass rate, the average and the number of distinctions earned. Jeppe came out tops again and it’s due to the dedication of the boys and to Ms Craig’s teaching prowess. She actually began her teaching career as a teacher of English and History, until she did a computer programming course with the intention of leaving the profession. So she stayed in the profession and has been teaching IT ever since She believes a grounding in Delphi is valuable because it covers the basics necessary for changing over to one of the more popular programming languages. When she’s not teaching Ms Craig can still be found in the computer labs, running the school’s popular E-sports club.